Camdollies save time and money by increasing the efficiency of transporting anything from stacks of sheet pans to catering equipment. 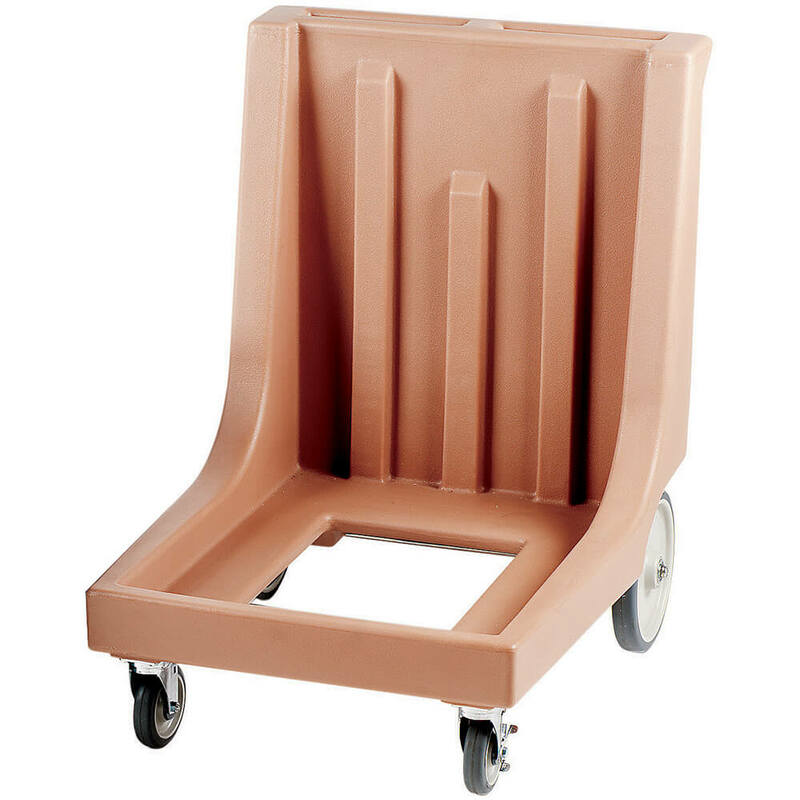 Our heavy duty casters are bolted into molded-in steel plates to ensure they wont fall out. Reduce the need for employee lifting and carrying which can lead to accidents and injuries. 10" Easy Wheels to handle the toughest terrain. Camdollies save time and money by increasing the efficiency of transporting anything from stacks of sheet pans to catering equipment. Reduce the need for employee lifting and carrying which can lead to accidents and injuries. Made of rugged polyethylene, they won't dent, crack, rust or corrode. Our heavy duty casters are bolted into molded-in steel plates to ensure they won't fall out. Caster type: 10" Easy Wheels, 2 5" swivel casters, 1 with brake. Interior dimensions: 21-7/8" x 28-9/16"
Size:27-1/2" x 34-7/8" x 36-3/4"